Call of Duty: Black Ops 4 developer Treyarch has recently said that changes to the Blackout map are on the way, and today, we get our first hint. The first teaser comes from the official Call of Duty Twitter account, which posted a video showing the feed of a radar pointed at the current Blackout map. From this overhead shot, the layout seems largely unchanged, but there’s a blip that appears north of Nuketown Island. This is the only discernible new section, but it’s hard to say for certain if that’s a crashed ship, a new island, or some form of mid-sea platform. Some players suggested it could be a recreation of the Black Ops 2 map Carrier, which took place mostly on the flight deck of an aircraft carrier, and featured some accessible quarters blow deck. Carrier would fit the military theme of the Blackout map, and it wouldn’t be the first time a classic Black Ops map has made its way to Blackout. Cargo, Raid, and obviously Nuketown are all recreated in Blackout. However, and perhaps as a way of nudging the community’s hive mind into a different direction, Treyarch presumably left another hint in a bit of an unlikely place. Paris Saint-Germain, and Brazil national team forward Neymar Jr. recently hosted a Blackout livestream. Before the show began, the footballer posted an Instagram video – since been deleted – to announce the stream times and ask fans to tune in. 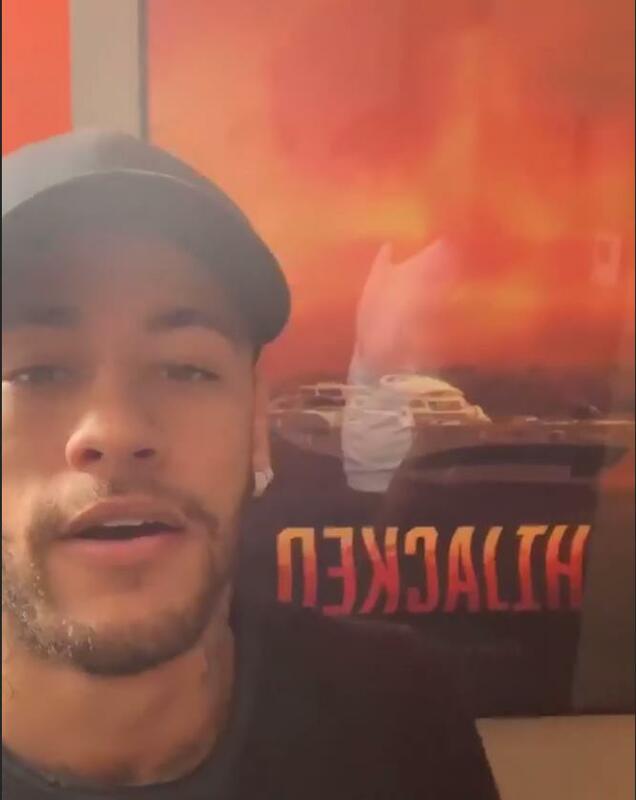 Behind him you could see a poster for Hijacked – another Black Ops 2 map that also happens to have a boat, only this time a cruise ship rather than a military one. Here’s a snapshot, courtesy of Charlie Intel. That’s far from a solid confirmation, but it would have to be a very random coincidence that this particular poster showed up a day before the teasers started dropping. In any case, there’s a December 11 date in the video, so that could be when the update is going live. If that’s indeed the release date, expect more teasers from now until then.